Get your fill at home or on the go for less. If you're reading this post, you have a device that needs a charger. And today's a great day to stock up on them. 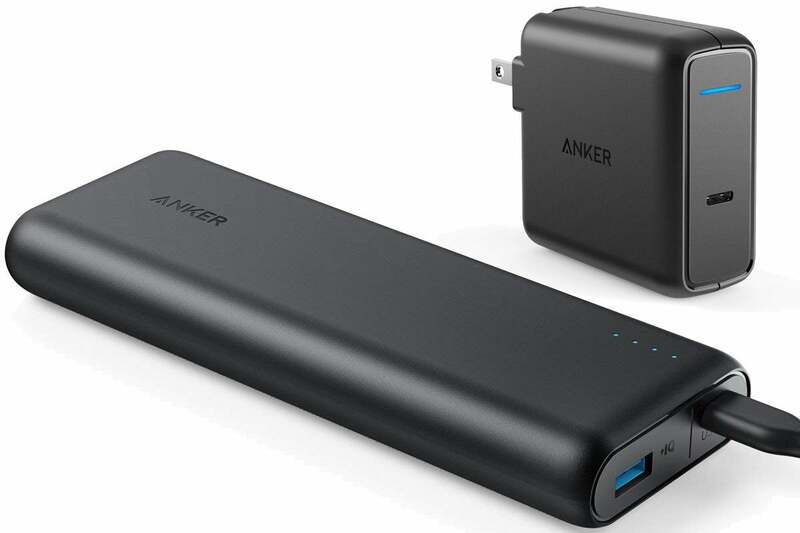 Amazon is offering fantastic deals on two of Anker's most popular charging accessories, with one hitting an all-time low. First up, you can grab the PowerPort Speed 1 USB-C wall charger for $30Remove non-product link, 25 percent off its $40 list price and the lowest price we've ever seen. The 60W plug is equipped with USB-C power delivery so it can safely charge everything from a cell phone to a laptop. A tight design with a foldable plug allow you to take this charger with you on the road, while a built-in LED indicator lets you see when your device is charging at a glance. Next is the PowerCore Speed 2000 PD bundle for $78. It features a 30W version of the PowerPort Speed 1 wall charger and a 20,100mAh power bank, and whole we've seen this package for less once before, it's still a great price for a solid bundle. The wall charger supports Power Delivery so it can charge up compatible devices with multi-layer protective technology to avoid damage from surges and other threats. The bundle also includes the PowerCore Speed, a 20,100mAh portable charger that can fill up your phone seven times before you need to charge it again.